St. Vincent and Grenadines are one of the most popular destinations in the world, for leisure sailors, who flock here for its numerous uncrowded anchorages and charming ports of call. St Vincent Grenadines Sailing: Snorkelers and divers are drawn by this country’s many underwater attractions, especially the coral-luscious Tobago Cays… The big island of St. Vincent has a rugged mountainous terrain, lush forests and many uncluttered beaches and inlets. The port city of Kingstown is one of the most picturesque in the Caribbean. Surrounded by the tranquil blue sea, St Vincent and the Grenadines is a small but enchanting tropical haven. Life moves at a slower pace here than in the rest of the world. 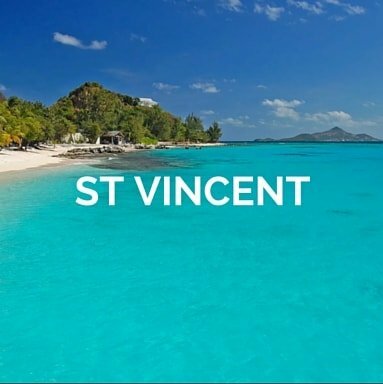 Embellished by a chain of smaller islands around, St Vincent is a mainland surrounded by peaceful beaches, making it an unspoiled destination for holidaying between February and mid-April, and from June to August. This string of islands can provide an enticing 7-day itinerary with the nearest at 15 nautical miles to the farthest at 40 nautical miles. St Vincent and Grenadines Boat Rental: The Grenadines include Bequia, Canouan, Mustique and Union, and a group of smaller, many unpopulated, islands. The smaller islands that compose the Grenadines offer a quieter pace of life, whether it’s on the budget-kind island of Bequia to the luxurious hideaways of Mustique. The most exciting way to experience these stunning islands is definitively to hop between them by boat, discovering remote coves that were once the stomping ground of pirates. All the bays, islands and beaches are low-lying, ringed by coral reefs, and famed for some of the best spots, beaches and sailing sea and weather conditions on the planet. Tread these unknown lands through yacht charter to discover the veiled secrets of the Caribbean. Sailing in St Vincent and the Grenadines aboard lavish yachts and sailboats can create a long-lasting impression. We also offer bareboat services for all variants of catamarans and motorboats for experienced sailors with a license. Few and simple steps to let us find you the perfect St Vincent Grenadines yacht rental and your destination, with all the extras you wish. Select the type of boat(s) you are looking the period and the area(s) you would like to sail. Or just tell us the type of St Vincent Grenadines boat charter that will better accommodate you and your guest and we will find a boat for your holiday. Let Your Boat Holiday’s team assist you properly from the selection of the yacht ’till the disembark. Looking for a St Vincent Grenadines Sailing Charter? You are in the right place! 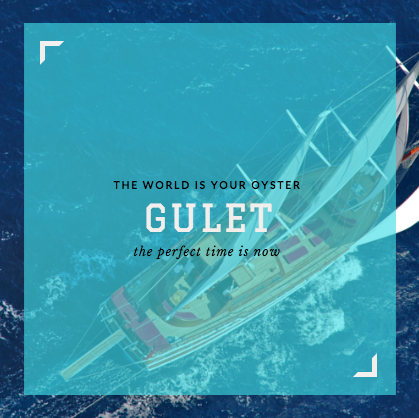 Our experienced and world travellers, expert St Vincent Grenadines Boat Charter Managers visit and sail aboard our selected yachts regularly and are perfectly placed to offer you transparent, tailor and professional advice for your St Vincent Grenadines Yacht Rental. Our twenty years of experience in yacht charters, developed in Grenadines and the Caribbean, enabled us to create close, enduring relationships with our clients, investing directly in our yachts and services. Sail or Motor Boat for your St Vincent Grenadines Boat Charter? Choosing the right yacht for your perfect St Vincent Grenadines sailing holiday is not easy. If you prefer cruising to enjoy relaxing moments with your loved ones, a sailing yacht is the perfect choice for you. 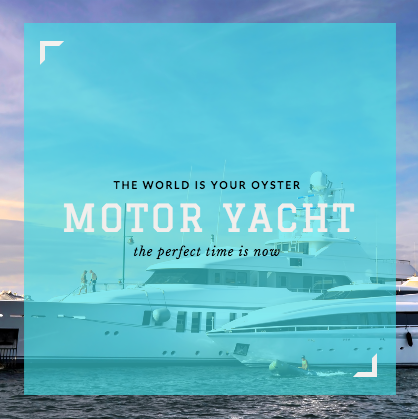 If you pretend the most luxurious comforts, a motor yacht, would the best choice for all speed loving people who love the luxury and greater ease. Let us guide you to the selection of the yacht for your next charter. Join with us your St Vincent Grenadines yacht rental experience, choosing high quality boats, skippered by professional trainers, all over the world: sail boats, catamarans, motor boats, gulets or luxury yachts. The choice of the destination of your charter is based on many important factors: first of all your bucket list, your sailing skills together with your previous experiences on the sea, wether you prefer to relax and sunbath on the yacht and take relaxed days trips or are you the adventurous type who enjoys being active while on boat vacation and believes every day is a great day for a new adventure! Have a look at our most popular St Vincent Grenadines Boat Charter destinations. Winds blowing at speeds of 10 to 15 knots can prove perfect when voyaging on a catamaran on this sun-soaked sea, inhaling the saltiness in the air. Experience magnificence while treading or relaxing on its luxuriant decks! 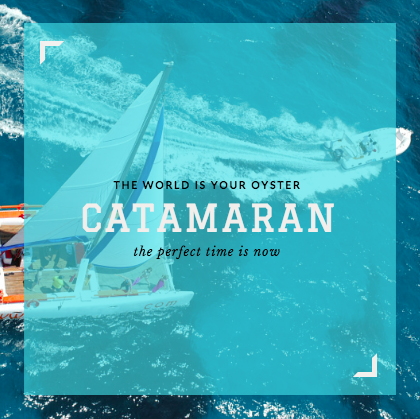 Catamarans come in two major types – the regular and the open catamarans. These luxury yachts can go up to a speed of 300 knots. The dual-hulled yachts provide the perfect sailing experience in the Caribbean waters with bumpy shores. Hosting a party on a crewed catamaran with tropical cuisines is a fantasy you can bring to life for your esteemed guests; thanks to our chefs and a trained crew on board. However, if you are in for some solo adventure, we also provide bareboat catamarans for yachting. Our options for boat rental in St Vincent and the Grenadines are immense with a wide variety for sailboats, catamarans and motorboats. With a crewed charter, you can enjoy an impressive itinerary covering all the attractions around. Moreover, we bring cost-effective packages to suit every budget. So, choose from the best catamaran available. Our boat rental services in St Vincent and the Grenadines can provide an unrivalled voyage to destinations like Bequia and Mustique which are 15 and 23 nautical miles away respectively. We offer fully crewed luxurious motor yachts cruising at a speed varying from 15 to 35 nautical miles. These come with different hull types like the cathedral, deep-vee, flat bottom or rounded hulls. So, drift through the Caribbean waters in a powerboat of your choice and enjoy our state-of-the-art services. You can also take these motorboats for sailing in St Vincent and the Grenadines for a week’s yachting. From dancing under the stars with fine sand sliding underfoot to tasting delicious Caribbean sea-food and watching enchanting sunrises and sunsets by the beach, you can create memories of a lifetime around St Vincent. Our crewed motor yachts on charter have an experienced team including captain, stewards, chef and other technicians. So, you don’t have to give a second thought when it comes to enjoying safe voyages with your loved ones while cruising through the Caribbean waters in St Vincent and the Grenadines. Sailboats are aristocratic watercrafts that provide exquisite luxury voyages. Satiate your seafaring yearnings by hiring one of the skippered sailboats with adept captains on board when sailing in St Vincent and the Grenadines. The best part about hiring a skippered yacht is that you get privacy in addition to commendable navigational expertise while voyaging. Nonetheless, if you are looking forward to an adventurous cruising with your passionate lot around St Vincent and the Grenadines, a bareboat sailboat should be your go-to option. 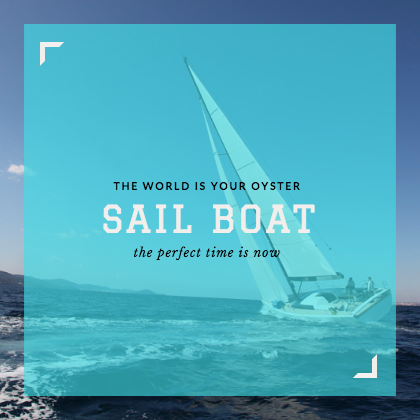 Make sure to have your sailing license ready before applying for this vessel as it is one of our mandatory requirements for bareboat services. We prioritise safety on all cruises. Our sailboat infrastructures are designed and implemented keeping in mind the subtle and delicate detailing required for luxury cruisers. Additionally, expertise of our maritime skippers can make sailing in St Vincent and the Grenadines an unforgettable journey with the best of itineraries unfolding. Begin your yachting sojourn with the nearest island, Bequia at mere 15 nautical miles from St Vincent and the Grenadines. Entering it through Port Elizabeth will be a treat to your eyes with shops and restaurants decked up with celebratory spirit of the tropical masses. To witness the city’s profound beauty, choose the morning hours and go hiking on Mount Pleasant. The peak gives a breathtaking view of surrounding land complimenting the Med. You can end on a pleasurable note by visiting the Old Hegg Turtle Sanctuary towards the north-eastern end of this Island with our boat rental in St Vincent and the Grenadines. It protects the rare Hawksbill turtles. This 1,400-acre island started developing after the year 1958 when the Hon. Charles Tennant purchased it and presented to Queen Elizabeth II’s sister in 1960 as a wedding gift. Famous for Les Jolies Eaux, the island was converted into a private limited company; and since then, has been a frequent holidaying spot for high profile celebrities and political leaders alike from over the world. Rich in heritage and luxury, Mustique Island should be your favored next stop after Bequia at just 8 nautical miles away for its spectacular views and picturesque sunsets. The sights are worth spending an evening here. When sailing in St Vincent and the Grenadines, Tobago Cays Island deserves a visit for its spotless aquamarine water and sports like snorkelling and easy-breezy swimming. At a mere 15 nautical miles from Mustique, it is a cluster of 5 mini islands surrounded by the Horseshoe Reef. Here, don’t forget to taste the famous ‘island barbeque’ in Baradel Cay, while relishing a mesmerizing view of flora and fauna around. Also, don’t miss out to sign the Pirates log book towards the end of your trail. From Tobago Cays, you can head straight to Petit Saint Vincent while making a short stop at Mayreau with a distance of 2 nautical miles from Tobago Cays to taste delicious Caribbean seafood served around the beaches. At 6 nautical miles from Mayreau, Petit Saint Vincent is a well-known island for trekking to the Marni Hill located towards its north-west. At 84 meters above sea level, it is the highest point of this island city and gives an enchanting view of the clear Caribbean waters. End your voyage by visiting the local orchid farms and enthralling your senses with the captivating view and fragrant air. So, book your sojourn with us today and get the best boat rental in St Vincent and the Grenadines. Commence your yachting with stunning views and awe-inspiring experiences. What activities are you planning for your St Vincent Grenadines Boat Rental?